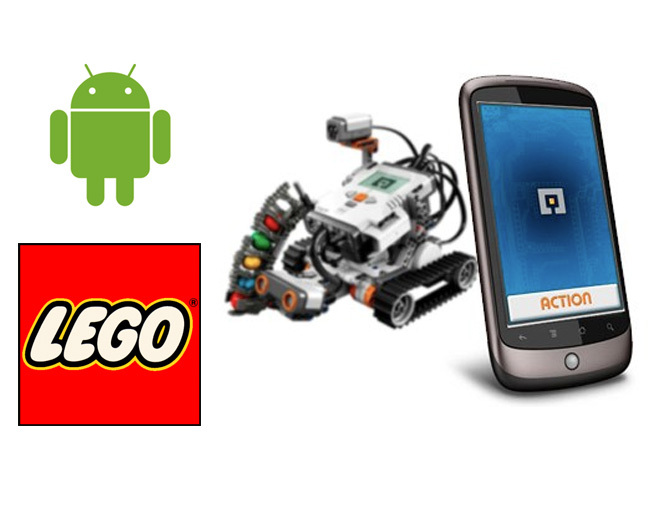 Lego Mindstorms have just released a new Android app that allows you to convert your Android Phone (running 2.1 or above) into a motion controller for your NXT robots. The MINDdroid app is a remote-control application that allows you to create a wireless connection directly with your NXT device. Once connected you can tilt and turn your phone to make the robot move forward, turn to the sides, and by pressing an action button on the phone’s screen, activate the Action motor. The MINDdroid Application has been developed by AFOLs (Adult Fans of LEGO) together with software specialists Günther Holzl and Shawn Brown, in collaboration with the LEGO MINDSTORMS team.